Get rid of your paper, photos, and receipts safely and easily with Shreddie, the space-saving mobile shredder. It is USB powered or can run on four AA batteries to make it truly portable. 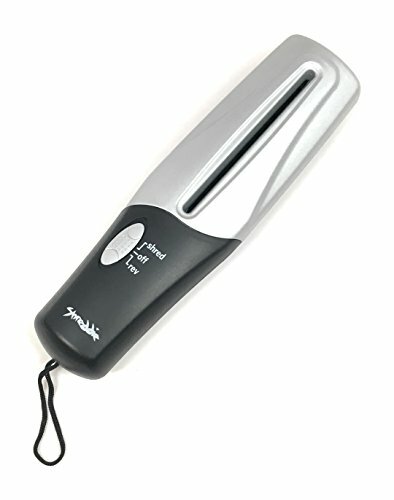 It features a compact, space-saving design - shred sheets up to 4.5" wide. A regular size sheet of paper can be folded in half to shred. Just tuck it in your bag or drawer when you're done shredding. Batteries not included. If you have any questions about this product by Shreddie, contact us by completing and submitting the form below. If you are looking for a specif part number, please include it with your message.